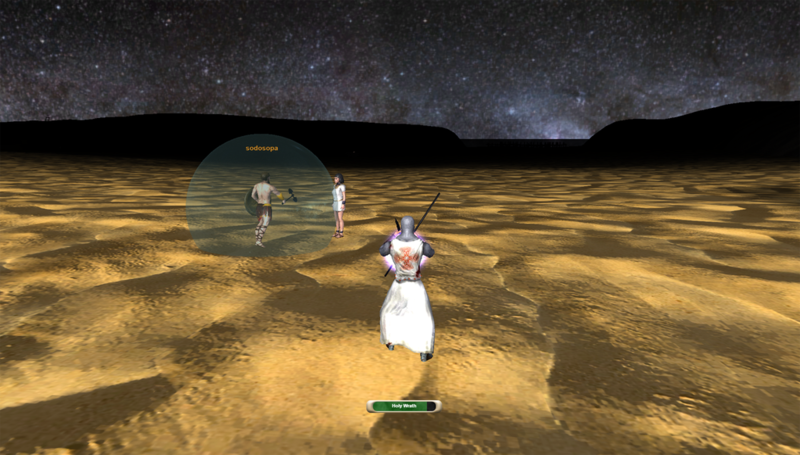 Calvin and I went ahead and did a test run of our browser mmorpg through of the recent updates we’ve made. The main thing we are working towards (besides the ongoing goal of peak performance) is the transition to the next zone. Auto PvP bonus xp in temples? As you can see a few things have been taken care of already. The remainder are more or less minor improvements. The most important related to the release of the next mmorpg zone is the fixing of the castle quest logic. The next step is the actual portal to the next area (working on it), and the completion of all the quest content for the next area. Of course also the next temple needs to be built. We’re pretty excited about what’s coming and can’t wait for it all to be launched in our browser mmorpg! would it be possible to change the cursor while pointing at attackable / pickable objects? Also it would be helphul to see which creature has been targeted. Some kind of circle (with a bright color) at the botom of the creature would be great. This is just couple things that i have just noticed after playing for a while. I’ve played with both those ideas. I had a hard time getting those working while maintaining good performance. I will definitely be revisiting both ideas. Apologies for spamming this blog., but the forum doesn’t allow me to post any suggestion untill lvl 5 :] .. So the [Video options] section doesn’t seem to have an option , where I could adjust the in-game brightenss and contrast. Are you considering to add this feature any time soon? This is not something we’re planning on in the near future no.